The past year has seen major growth for our company. We outgrew IQBoxy and became Veryfi. Part of that growth was due to the influence of our customers. We’ve heard from a ton of Uber and Lyft drivers in particular, and what they want is actually exactly what we want too: mobile, HIPAA-compliant tools that are truly automated and under one roof. Veryfi has a HIPAA-compliant vault and so we thought we could extend that to tracking vehicle mileage — a natural fit for gig economy drivers’ privacy needs. Most products on the market, as we found out in 2017, were smoke & mirrors, deceiving hard-working self-employed individuals. Furthermore, having multiple apps to run a small business is painful. Using APIs to tie services together is a challenging task for workers who want to get things done. A service like Veryfi could provide all of this under one roof without having to relearn user interfaces and experiences, and own a bunch of apps with multiple subscriptions. With Logbook Mileage Tracker, Veryfi users now have a safe, accurate, and simple solution to logging their business travel. Driving distance (miles or kilometers) is automatically tracked and recorded in the background while traveling for business. Logbook Mileage Tracker then creates business travel logs that follow IRS mileage standards in the U.S. and ATO requirements in Australia, making tax filing all the more accurate and easy. It’s especially useful for small-business owners, self-employed entrepreneurs, and gig economy workers like Uber drivers. Users can save an average of $8,800 per year with Veryfi services. So let’s find out how Logbook Mileage Tracker works. The Android version is coming. Register your interest. This is part of our core Veryfi product called Veryfi Machine Learning Engine (VMLE). The first few times you use Logbook, the app will prompt you to classify your trips at the end of the day. 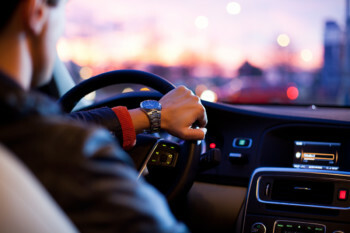 However, it won’t take long for Veryfi to LEARN your driving patterns and help you more efficiently categorize trips. Give your tax-deductible mileage (or kilometer) records the accurate details they need to pass IRS (or ATO) scrutiny. At Veryfi, your privacy and security are of the utmost importance. Veryfi is the only solution that’s HIPAA & EU General Data Protection compliant. That’s especially valuable for medical or health-tech companies, and anyone who wants to keep their data truly safe from prying eyes. Veryfi is a Y Combinator company part of the W17 cohort. Veryfi provides mobile-first, HIPAA-compliant bookkeeping software that empowers business owners by automating the tedious parts of accounting through AI and machine learning.